Since I´m from Finland I use my sauna from now and then. Noticed when I put the topical before going in, my skin inhales the topical completely from the heat. They say that pores opens from heat, and as it seems the same goes with the hair. My skin and hair feels amazing after a really intense sauna relaxation. Sage 1 wrote: Since I´m from Finland I use my sauna from now and then. Hi Sage, how do u you create and store your most recent topical tho? If I may ask. Been using this tincture blended with herbs for about 3 months now, so therefore a legit opinion. All I can say it works amazing regarding hair regrowth, and it´s also cheap since it lasts for a long time after the tincture is done. You only have to leave it for about 2 weeks with the vodka, before you start the process of making a tincture. I boil the the remaining chaga 3 times with straining, and it turns out really dark brown (black) due to the high amounts of melanin. Have no clue how much the herbs blended in helps, but since the remedy is so efficient there is no need for more experimenting by using the chaga by it´s own. New hairs growing rapidly now, and they thicken faster also from the early stage. Quiet funny to see the reactions from my colleagues at work, since they look mostly at my hair now during conversation. good work sage, are you still juicing ? can you talk about your nutrition ? For the last year I have been applying onion, garlic and apple cider vinegar 3 or so nights a week, leaving it on overnight and washing it out in the morning with sages shampoo. I have found my hair has thickened and my hair loss seems to have slowed down dramatically. The only down side I have noticed is that when i grow my hair longer it is noticeably green in color, which is not desirable. Has anyone else experienced this? I have just began using black tea instead of green tea and added a teaspoon of blackstrap molasses to my shampoo for a hopefully darkening effect. Iv started with the Chaga tincture couple of days ago, will report in 3 months Sage, do you keep it in the fridge? Is there an agreed upon method of making the chaga tincture or is it just to buy a block of it, pulverize it, put a handful in a mason jar then pour vodka in it and leave it for 2 weeks? When does the boing take place? MMarc wrote: Iv started with the Chaga tincture couple of days ago, will report in 3 months Sage, do you keep it in the fridge? I keep the jar in the fridge just to be on the safe side, since it lasts for ages. It's about 6 month since i follow this thread, and I'm tryng to find out the common line that connect all the several ingredients that worked for Sage1. My conclusion is that all the several subsances have an astringent, sebum reduction action. Most of this caused by tannins and terpens present on each plant reported. Sage, or anyone that use this method, when you use the mixture, older version and new one, do you noticed an astringent sensation on your skin after rinsing? like tight skin. abetz85 wrote: It's about 6 month since i follow this thread, and I'm tryng to find out the common line that connect all the several ingredients that worked for Sage1. What do you wash it off with? That might contribute to the tight skin too. Also tea usually has high amounts of tannins, I thought tannins were bad though? Are they actually good topically? I normally use simple shampo. If i don't use the mixture i don't feel the tight skin after rinsing. I think that tannins may be an important substance for sebum regulation, like finasteride limit DHT that limit sebum production. Seems that I hit the jackpot using chaga as a base. My new hairs is already thick during early growing stage, and my whole hairline is thickening. long time lurker on this forum checking what remedies people are commonly using - I've been paying particular attention to this thread as I'd prefer to recover my hair loss by natural means. I haven't followed any protocol previously, just making a better effort to eat less processed foods. I made two different concoctions (a month ago) both are still brewing until my muslin cloth arrives. 1. Apple Cider Vinegar, Chaga, Lapacho Tea, Rosemary, Coriander. 2. Vodka, Chaga, Lapacho Tea, Rosemary, Coriander. How much do you apply? 1-2 teaspoons? What is the best way to apply? To the crown and massaged through the crown or with a sponge to specific areas I want to improve. 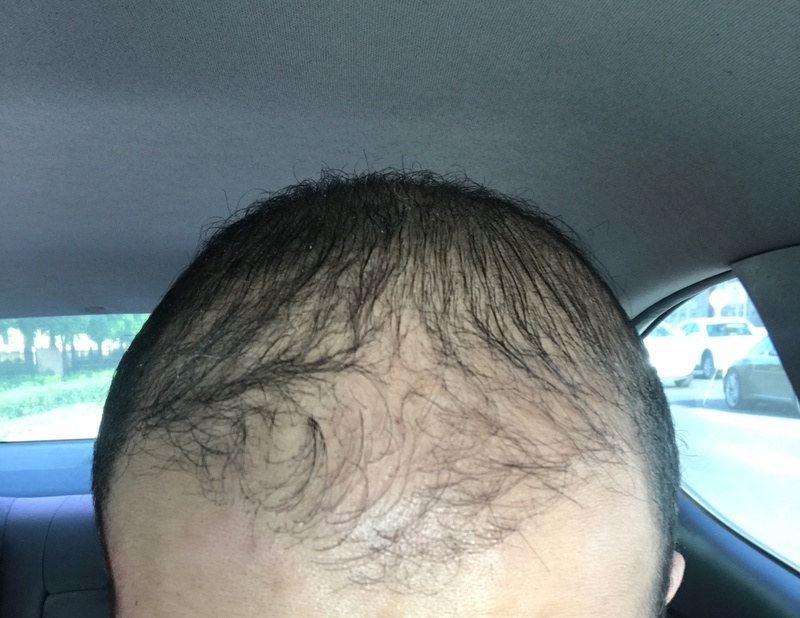 I'll post some pics of my hairline in the next couple of days, when I find a place to upload so this can be reviewed in 3 and 6 months (I'd hope to see some improvement in that timeframe). Ok, I'm trying the chaga thing. I bought some chaga pieces in a jar. Now, according to sage's comments above you soak the chaga in vodka for 2 weeks. Then you fish out the chunks and boil them in water 3 times straining them each time. Then what? I'm a little confused. Would'd just letting the chaga sit in vodka for a month be good enuff? Why would you want to boil it? Look up the link a few pages back. It's how you get the most out of the timcture. Is anyone other than Sage getting results with this regimen? Please post what results you've gotten so far. Thx! So I started this regimen since May, and have been quite happy with it. Getting the really thin diffused hairs to grow again will take time, but I haven't been able to grow my hair and style it like this since 10 years. The only thing I added to the formula was coffee and I take 500 mg of Fenugreek 3 times a day. Thanks for continuing to share more pics Amin80! We need people like you around this forum as hope that maybe this horrible disease can be reversed! With this new pic, its hard to say if there is regrowth or not. It may even look like you have less hair in the frontal region compared to your last "after" picture. But again, its very difficult to say. Would you say that some have your thin hairs have thickened? Also I remember reading somewhere the fenugreek might be unsafe to take.. how come you added it? I am confident in this regime, I will continue to post updates since this regimen does take some time to show the full results, but I am very happy so far. I started taking Fenugreek because I saw a post on here about a guy that had some great regrowth using it, so I added it, it gives a nice thickness to my hair, and I feel there is good synergy with the topical. I have not had any sides from it from 2 months of use. My frontal area is definitely the area with most diffuse, but if you were to see up close, it is slowly filling in. I will continue this regime and re-evaluate at the end of 2018. Probably tinctures in general is an efficient way preserve herbs for a longer period. The only thing to keep in mind for those trying this, is to add the herbs when the chaga tincture is done (not boil the herbs). To add more volume to my hair, I have raw cacao beans soaking in a tincture. What i have learned is to keep the ingredients as intact as possible, and not to use any refined oils on my hair. Hello all, I filtered the Chaga, ACV, Rosemary and Coriander tincture yesterday for my first application. Some pics I took in the past month ... pre Chaga tincture. I'm not going to buzz my hair, I'll keep it around the same length and I'll continue posting pics month by month for the next 6 months. I'm not expecting miracles in that time frame but I'm hopeful I'll see increased thickening/coverage. hairtodaygonetomorrow wrote: Hello all, I filtered the Chaga, ACV, Rosemary and Coriander tincture yesterday for my first application. Some pics I took in the past month ... pre Chaga tincture. Just crush some raw cacao beans into the tincture also, and that´s it. Thanks for the suggestion Sage. I'll add that to the Vodka, Chaga, Lapacho, Rosemary and Coriander tincture I have which is still brewing for future use. How do you apply your tincture? Do you drop a teaspoon or 2 onto you scalp and massage all over or do you spray/sponge onto specific areas? Just add the cacao when the tincture is done, since it will dissolve nicely. I use about 1-2 tsp, and I use my fingers to apply it on my scalp.